Unique rotated and practical function. A blocking device in the holder to keeps the wrenched in. Marking provides a clear identification of the dimensions. 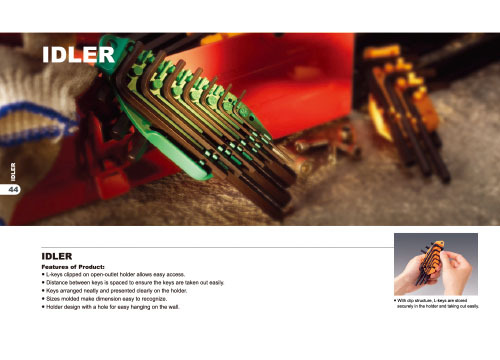 Providing the comfort of hex keys taken/held(time-saving effect). 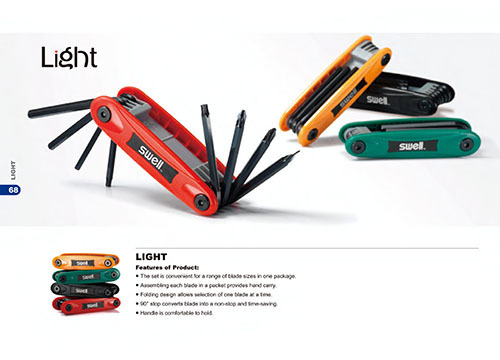 Utilizes open outlets clip structure, portable hand-carrying and easy to handle. 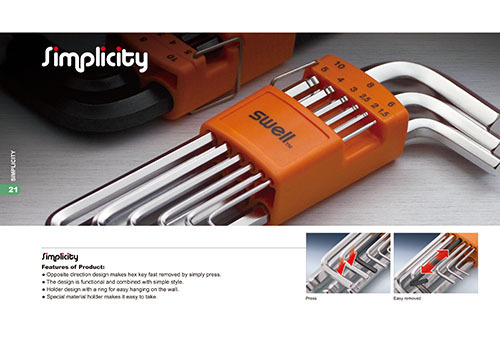 Opposite direction design makes hex key fast removed by simply press. The design is functional and combined with simple style. Holder design with a ring for easy hanging on the wall. Low profile short arm allows entry into tight and narrow spots. Smaller inside radius for limited spaces. Ball-end tip on long arm for fast insertion or extraction. Combine both sizes in one 360° turning & compact box. Modern storage box is made of pure ABS for ease of recycling. Available for the service tool cart. Clear size marking for long-lasting purpose. 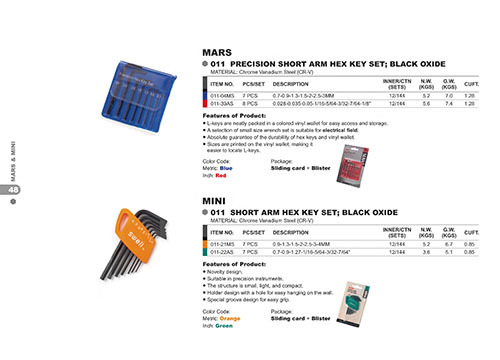 A full range of tip sizes from T6-T55. 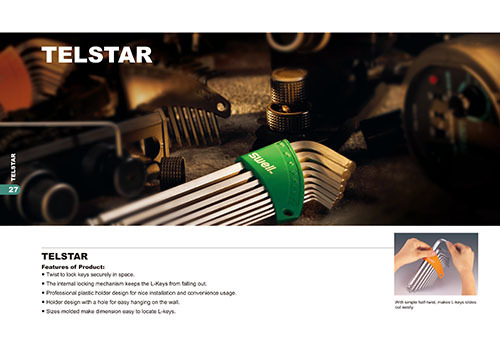 Precise machining of star tip represents ease of entry and full engagement in screw. L-keys clipped on open-outlet holder allows easy access. Distance between keys is spaced to ensure the keys are taken out easily. Keys arranged neatly and presented clearly on the holder. Sizes molded make dimension easy to recognize. 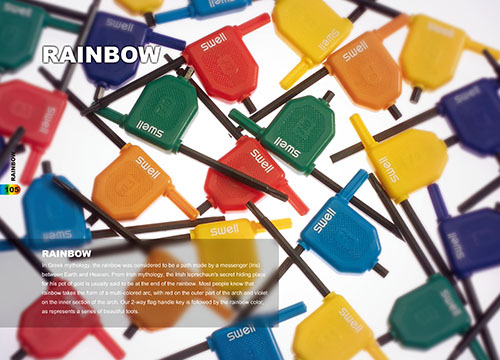 L-keys are neatly packed in a colored vinyl wallet for easy access and storage. 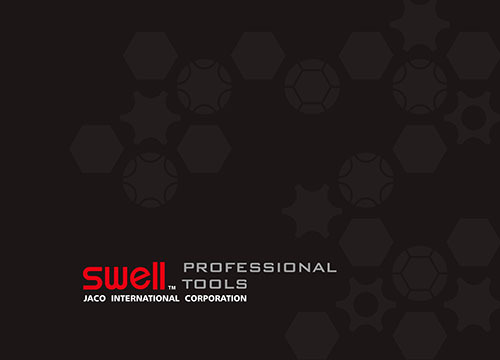 A selection of small size wrench set is suitable for electrical field. 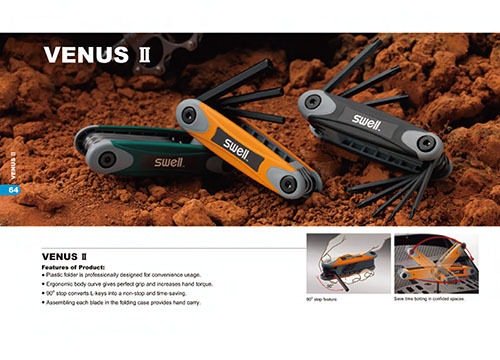 Absolute guarantee of the durability of hex keys and vinyl wallet. Sizes are printed on the vinyl wallet, making it easier to locate L-keys. The structure is small, light, and compact. Special groove design for easy grip. Plastic folder is a professionally designed for convenience usage. Plastic folder makes a virtually unbreakable body construction. Soft grip provides great comfort, pleasant touch and long-wearing to the contours of the hand. 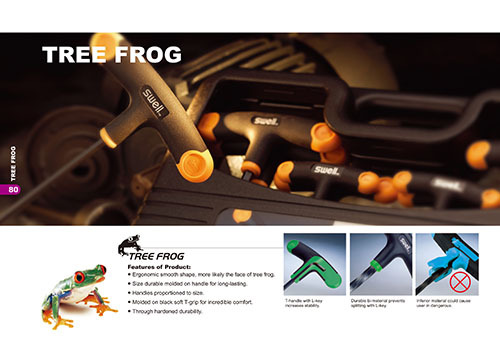 Ergonomic body curve gives perfect grip and increases hand torque. Distance between keys is spaced to ensure taking out keys easily. 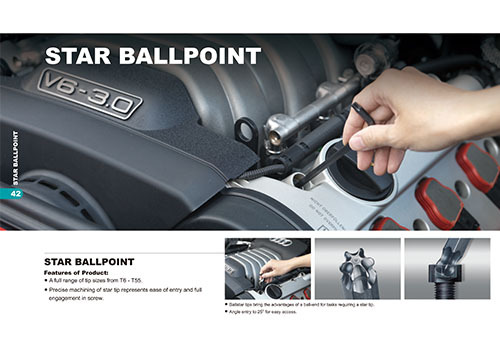 90° stop converts L-keys into a non-stop and time saving. Assembling each blade in the folding case provides handy carrying. 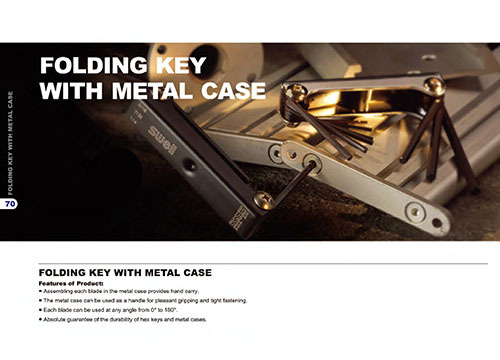 Multi-blade keys are packaged in aluminum holder. Light and handy appearance in court. Aluminum holder has a beautiful metal luster. Halftone printing in logo appears outstanding value. 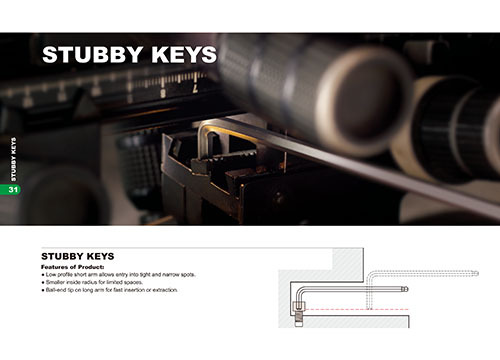 L-keys are accessed from both top and bottom. 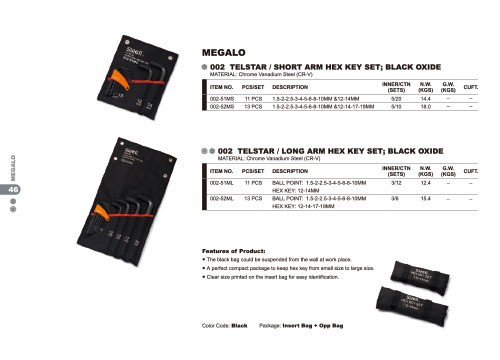 The set is convenient for a range of blade sizes in one package. Assembling each blade in a packet to provide handy carrying. 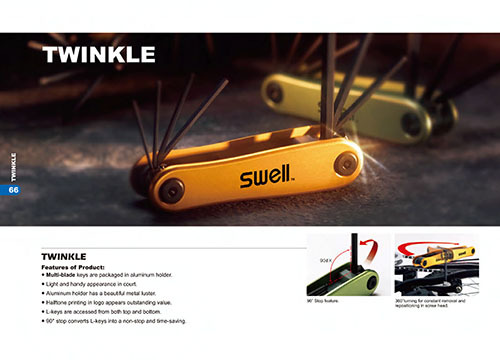 Folding design allows selection of one blade at a time. 90° stop converts blade into a non-stop and time saving. Handle is comfortable to hold. Assembling each blade in the metal case to provide handy carry. 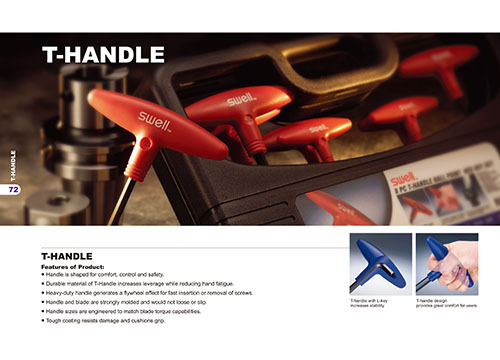 The matal case can be used as a handle for pleasant gripping and tight fastening. 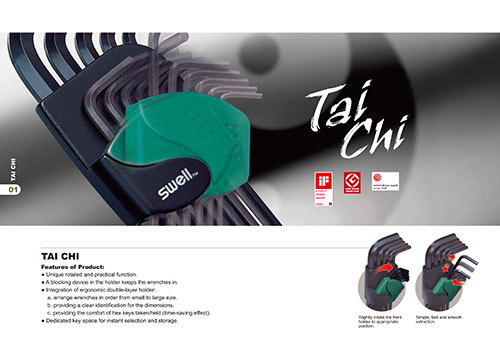 Each blade can be used at any angle form 0° to 180°. 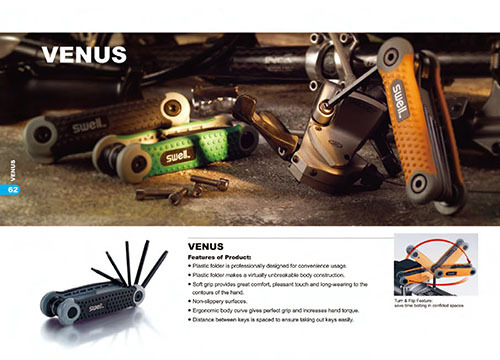 Absolute guarantee of the durability of hex keys and metal cases. 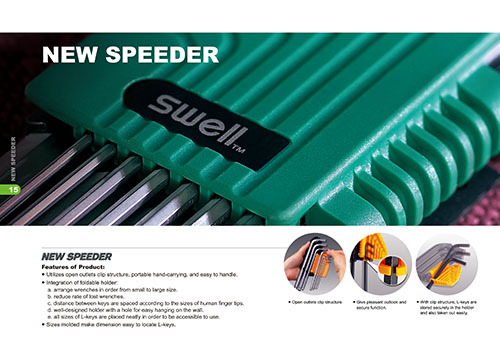 2-way flag handle are functional used for insertion and removal of screws from torsion blade/cutting tools. 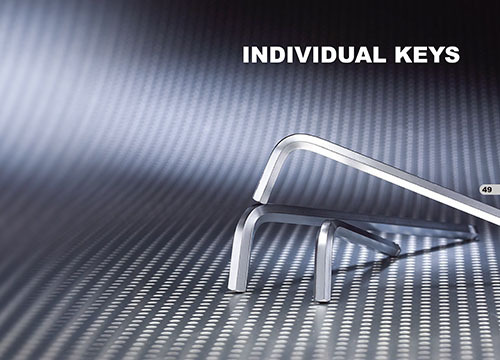 Perfect for applications where other handle types might be unsuitable to use. 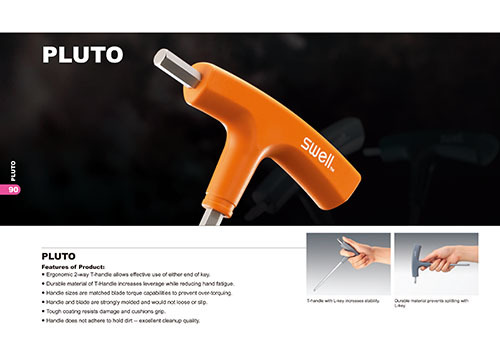 Large handle area for thumb and index finger to loose or tight any screw with comfort. 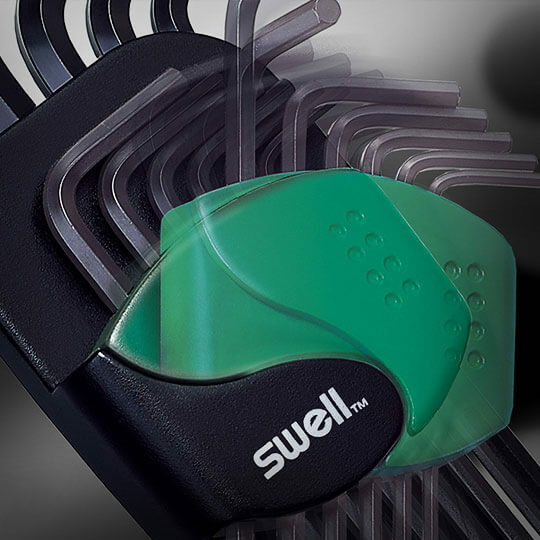 The flag handle features for positioning screws in the borehole and also quickly turning of screws. 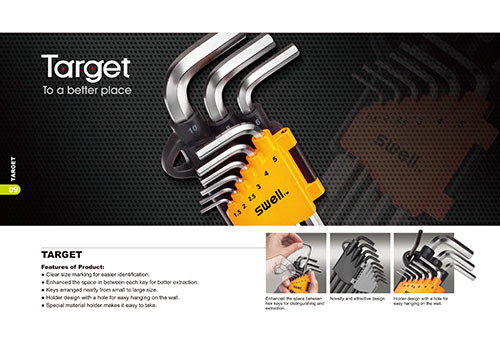 Ergonomic 2 way T-handle allows to loose tight screws on both ends. Matted finish makes rusty resistance better. Through blade hardened for wear resistance. 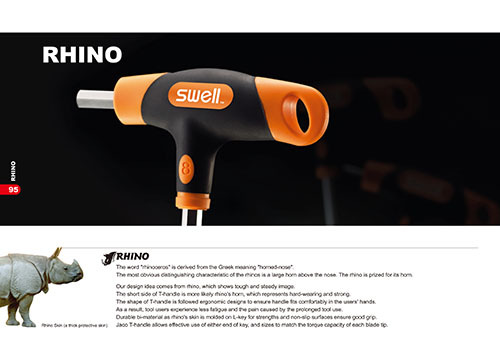 1/4" T-handle offers comfort grip. 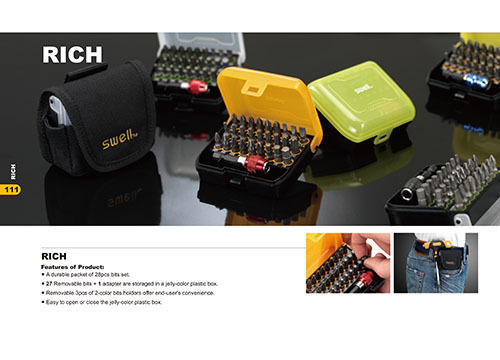 A durable pocket 28pcs bits set. 27 Removable bits + 1 adapter are storaged in a jelly-color plastic box. 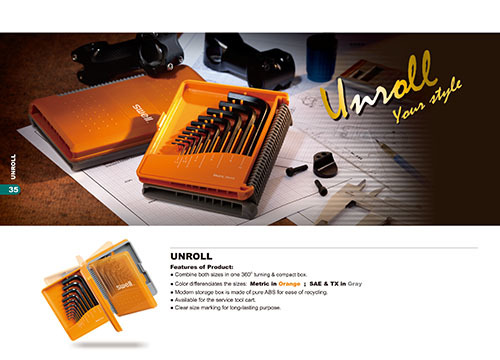 Removable 3pcs of 2-color bits holders offer end-user's convenience. Easy to open or close the jelly-color plastic box. 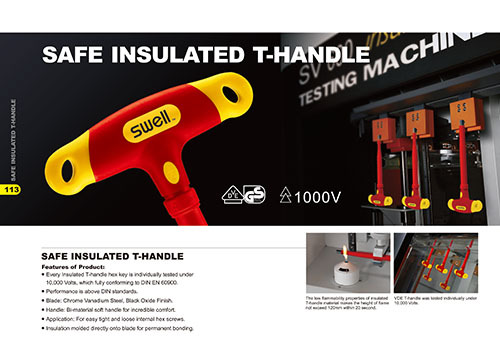 Every Insulated T-handle hex key is individually tested under 10,000 Volts, which fully conforming to DIN EN 60900. Performance is above DIN standards. Blade: Chrome Vanadium Steel, Black Oxide Finish. Handle: Bi-material soft handle for incredible comfort. 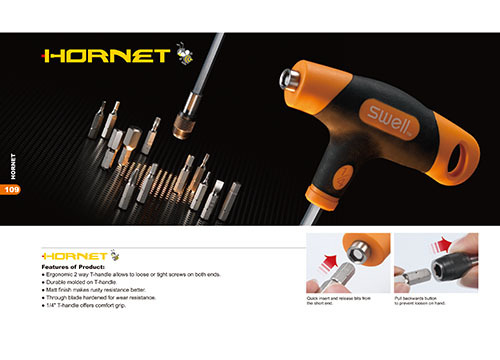 Application: For easy tight and loose internal hex screws. Insulation molded directly onto blade for permanent bonding.